Japan's Economy Minister Toshimitsu Motegi speaks at a news conference in Tokyo, Japan August 3, 2017. TOKYO - Japan’s government will next week host the latest round of negotiations for the 11 nations remaining in the Trans-Pacific Partnership (TPP), but reaching a final deal has been thrown into doubt by New Zealand’s change of government. Incoming Prime Minister Jacinda Ardern has insisted she will push to renegotiate the trade pact to include curbs against foreign real estate speculation as New Zealand grapples with soaring housing prices. Originally the United States was also a member of TPP, but talks were thrown into limbo in January when U.S. President Donald Trump withdrew from the agreement to prioritize protecting U.S. jobs. Japan hopes to finalize the deal next month to show other nations that it can act as a champion of free trade, but there is a risk talks could stall if New Zealand’s new government is not satisfied with the details of the pact. 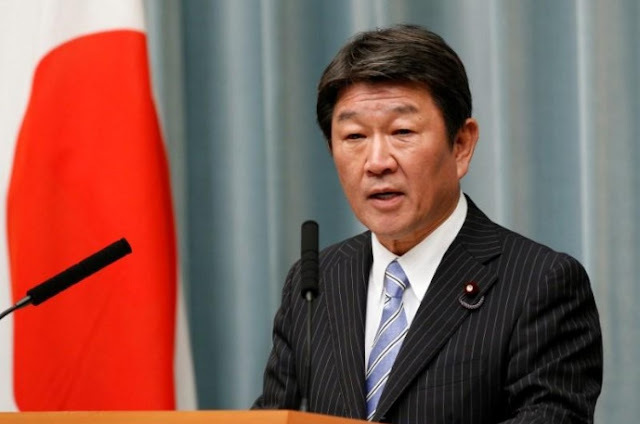 “We hope these talks will allow us to take a step further toward reaching an agreement,” Japanese Economy Minister Toshimitsu Motegi said. The 11 TPP members had set a goal of reaching broad agreement on the pact in November at an Asia-Pacific Economic Cooperation meeting set to be held in Vietnam’s central city of Danang. The TPP negotiations to cut trade barriers in some of Asia’s fastest-growing economies are ambitious in scale but have been fraught with problems. After Trump withdrew from the agreement Vietnam tried to change TPP provisions on labor rights and intellectual property. If other partners seek changes of their own, reaching a final agreement could be some way off. The TPP talks will take place from Oct. 30 to Nov. 1 in Chiba Prefecture, east of Tokyo. Japan’s government will next week host the latest round of negotiations for the 11 nations remaining in the Trans-Pacific Partnership (TPP), but reaching a final deal has been thrown into doubt by New Zealand’s change of government. Incoming Prime Minister Jacinda Ardern has insisted she will push to renegotiate the trade pact to include curbs against foreign real estate speculation as New Zealand grapples with soaring housing prices.